Miltoncontact: Benefits of Bill and Melinda Gates Foundation support for UK nitrogen fixation GM research. Benefits of Bill and Melinda Gates Foundation support for UK nitrogen fixation GM research. The Bill and Melinda Gates Foundation focuses on improving people’s health in the developing world. They want to give them the chance to lift themselves out of hunger and extreme poverty. Their interest in nitrogen fixation is a continuation of the 2009 Bill Gates “Calls for United Action to Support World’s Poorest Farmers”. It complements their program N2Africa – putting nitrogen fixation to work for smallholders in Africa. Support for the work in Professor Oldroyd's John Innes Centre (JIC) laboratory may lead to GM maize for the developing world that can fix its own nitrogen. It is a long term goal. Without nitrogen your body would have no muscles. Without nitrogen you could not grow or have children. Without nitrogen, you would simply not exist. Nitrogen is one of the four most important elements in the human body, fundamental to your body's proteins and your very DNA. Ultimately, our body's nitrogen comes from food plants, even if via grass to beefsteak or milk. Plants in turn take their nitrogen through their roots. Most plants get their nitrogen either from natural or man made fertilizer present or applied to the soil. The nitrogen we remove in the plants we harvest, eat or use as feedstock has to be re-placed in the soil for next year's harvest. Past quick-fix solutions have been to import someone else’s organic waste, mined guano (bird-droppings) or to use chemical fertilizer and add them to the soil. The methods work but are expensive in production and transport. There is also the risk of the real long term damage to the environment if overused. The more friendly alternative has been to use the apparent magic of beans and other legumes. Legumes include peas, beans and clover for example. Legumes are key crops used to restore nitrogen fertility to the soil as part of crop rotation. They achieve this with the help of specific bacteria that can take nitrogen gas from the atmosphere around us. The bacteria change the gas into forms of nitrogen that the plants can use. This process is known as nitrogen fixation. Legumes welcome bacteria from a family called Rhizobium into special bumpy root structures known as root nodules. The bacteria are effectively given safe board and lodgings and fed with plant sugar. The Rhizobium bacteria in turn convert nitrogen taken from the air into nitrates which the plants can use. Those glib three sentences describing nitrogen fixation hide a tremendous complexity. How do the bacteria and plant roots communicate with each other to let only the right bacteria in? How does the plant create a root nodule for the bacteria? An interlinked web of genes, switches, hormones, signals and chemistry needs to be understood. There is a already a large body of knowledge gained worldwide on how the nitrogen fixation relationship works. The team at the John Innes Centre (JIC) under Professor Giles Oldroyd is homing in on two key steps in the formation of a nitrogen fixating nodule. The early stages of growth by cell division in the root. The first stirrings of nodule creation. The formation of special tubes in the early root nodules called infection threads. The infection threads control how the bacteria enter into the developing nodule without harming the plant. The simpler you can make a situation, the easier it is to discover the important things. As their model plant, Professor Oldroyd's lab (and others) will be using Barrel Clover, also known by the Latin name of Medicago truncatula. It is a small plant, easy to grow and it reproduces within 3 months. The plant has a simpler genome than other legumes. Most important - it forms nitrogen fixation nodules. The next question will be – can we help other plants than legumes form nitrogen fixing nodules? Giving other plant species the ability to obtain their own nitrogen without the use of applied fertilizers has long been a dream for agronomists. Genes very similar to those used in forming nodules are already present in all green plants. Scientists think legumes adapted these common genes to create nitrogen fixation nodules about 58 million years ago. Developing new nitrogen fixing crop plants therefore looks feasible in principle. Maize is an obvious choice to see if nitrogen fixation nodules can form in other plants. Maize is not just a globally important crop plant. Maize genetics has been studied and unravelled by scientists for nearly a century. Unfortunately, you can only get up to two generations of maize to grow in a year. Therefore related work will also be done on the grass Green Foxtail, Setaria viridis. This can reproduce much faster in the lab and greenhouse. Genetic modification (GM) has grown into a major, vital research tool in biology. Its history goes back to the early beginnings, forty or more years ago. Most of GM work is now routine. Genes from a source are cloned into bacteria in the lab. This allows you to determine the information encoded in the DNA that makes up the genes. The entire genomes of many organisms, including humans, have been determined. Defined genes are then been put back into model organisms in the lab. This is done in areas from human medicine to agriculture to better understand how the genes work. Again this has created a vast bank of knowledge – and we are still only looking at the tip of the iceberg. GM bacteria, yeasts, plants and animals from worms to sheep are now commonplace in research. The UK is a leader in plant science. For many in the UK and Europe, the controversial aspect of GM is its application in crop plants. The first GM plants were created in the early 1980s. 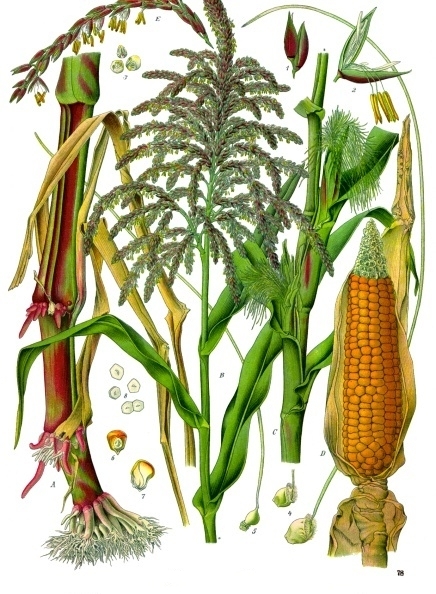 Transgenic crops appeared in the 1990s. Now over 400 million hectares of GM plants are grown worldwide in 29 countries. Fifty percent of transgenic crops are grown in developing countries. In the UK and most of Europe, few transgenic crops are grown due to active resistance. The exception is Spain where 50% of maize is now GM. Criticism has shifted away from safety and focussed on the commercial nature of GM for large companies. The Bill and Melinda Gates Foundation supports nitrogen fixation research worldwide. Producing nitrogen fixing GM maize is just one of a wider variety of options. The focus is on people and not on the profit of giant corporations. The Bill and Melinda Gates Foundation supports Nitrogen Fixation research. The work at the JIC laboratory of Professor Oldroyd is part of a wider international program. The first benefit is the wealth of knowledge to be gained about how nitrogen fixation nodules are formed and work. Better understanding will be of real use for farmers and plant breeders of important conventional legume crops, from clover to beans and peas. The second benefit is the ever closer prospect of transferring nitrogen fixation ability to other crop plants like maize. This would dramatically reduce the need for applied fertilizer for farmers worldwide. The third and very real benefit is the approach of the Bill and Melinda Gates Foundation. The foundation focuses in the developing world on improving people’s health and giving them the chance to lift themselves out of hunger and extreme poverty.